1993 HAHN HTL 300F Self Propelled Harvester. This machine has a John Deere 6359 turbo engine, runs and starts good, strong hydraulics, hoses are all in good order, tight controls, drive system is in good working condition, new feed chain, delimber knives and measuring system are in good working order, tight controls, topping saw and chain have been repaired, new bar and chain, tight boom and grapple. Cab has heat and good glass. Has service and parts manual. Easy fifth wheel hook up for travel. Tire chains. Contact Erik @ Red Pine Equipment 218-720-0933. Machine is located in Northwest USA. 1993 John Deere 290D Feller Buncher with Fabtek Stroke Head and a Morbark 16" Shear Head. This machine has a 4 cyl. John Deere engine, runs and starts good, has a few seal leaks, strong hydraulics, undercarriage is in good working condition, tight boom, both heads are in good condition. Heat and A/C. Contact Erik @ Red Pine Equipment 218-720-0933. Machine is located in Southcentral USA. 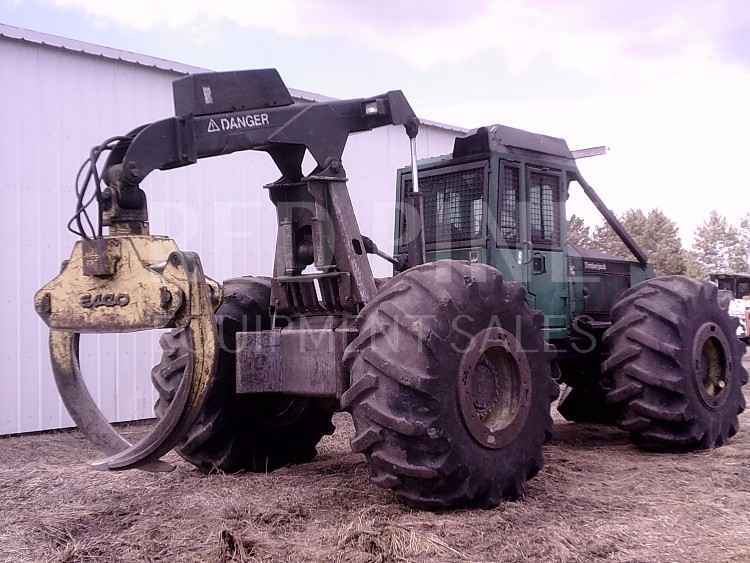 1993 John Deere 640E Cable Skidder. This machine runs and starts good, runs every day, tight center section, all pins and bushing are in good working condition, strong hydraulics and winch, 1" mainline, strong Power Shift transmission. Will sell with 67.00/34 tires or with 30.5 - both sets of tires are @ 50%. Contact Erik @ Red Pine Equipment 218-720-0933. Machines is located in Southeast USA.